ST. PETERSBURG, Fla.– (April 16, 2019)— The Greater St. Petersburg Area Economic Development Corporation (EDC) released the 2.0 version of its digital workforce platform, Workforce Resource Map with significant enhancements to better meet the needs of growing businesses in St. Petersburg. The platform, created in partnership with CareerEdge in December 2018, showcases a comprehensive listing of workforce-related resources and programs available to employers in the greater St. Petersburg area. 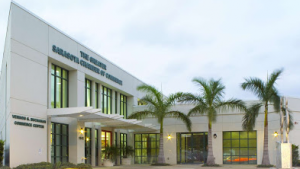 SARASOTA, Fla. (April 3, 2019) – The first Newtown HVAC Fast-Track Training program has been unanimously approved by the City Commission. This program is the Greater Sarasota Chamber of Commerce’s latest workforce initiative, led by CareerEdge Funder’s Collaborative. The introduction of this program reflects our continued work in bringing training programs to the local region that create opportunities for our community. The program expands upon Walt Eppard’s initial vision, which fueled the first HVAC Fast-Track Training in January. With a focus on HVAC maintenance, this Fast-Track Training equips the 12 program participants with the skills needed to enter into an in-demand career path with the opportunity for growth and personal success. By the completion of the program, participants will also have obtained their OSHA and EPA certifications. This program is the result of successful collaboration across industries and expertise with the Argus Foundation, the Boys and Girls Club of Sarasota County, the City of Sarasota, Cool Today and the Gulf Coast Builders Exchange and community members. 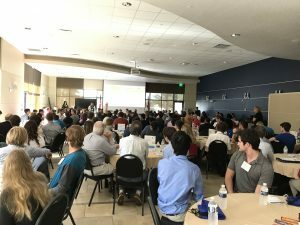 SARASOTA, Fla. (February 25, 2019) —A diverse group of nearly 140 juniors and seniors from Sarasota County schools and 40 engineers from 15 different local companies met last Friday for the 2019 Experience Engineering Luncheon at the Suncoast Technical College (STC) Main Campus Conference Center. Attending engineers and students toured the STC facility and engaged in roundtable discussions, allowing students to gain insight into the many engineering opportunities in the Sarasota area. This event reflects an extraordinary collaborative effort between four organizations of different areas of expertise: the Greater Sarasota Chamber of Commerce (GSCC), in convening employers; the Herbert Wertheim College of Engineering at the University of Florida, in engineering; CareerEdge Funders Collaborative, in creating career awareness and Sarasota County Schools Career and Technical Education (CTE), in bringing together a diverse of group of students. STC culinary students were also involved by providing lunch for the event. 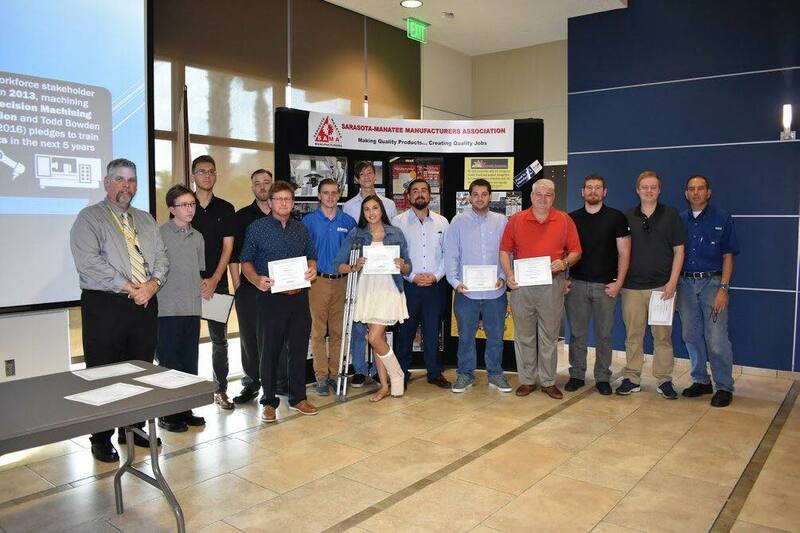 In June 2018, Sarasota County’s Precision Machining Program at Suncoast Technical College completed its fifth program year by graduating 13 new machinists. The occasion was marked with a celebration as those graduates brought the program’s five-year total to 102 skilled workers having been trained locally. Also, the program led the state in National Institute of Metalworking Skills manufacturing certifications with 358 completed and a 96% job placement rate after graduation. Through these efforts, the program has proven to be prosperous, with much credit to a very committed and skilled instructor, Edward Doherty, who continues to lead the program to success and longevity. Students enrolled in the program take part in the year-long training, with hands-on experience, to attain the credentials. 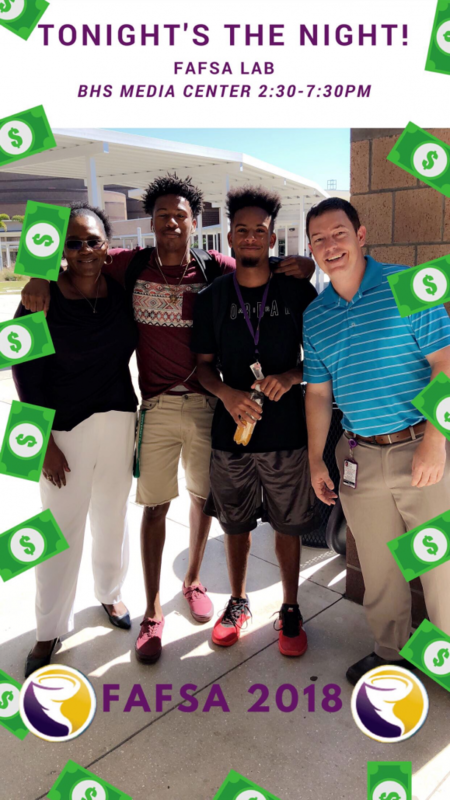 Students then enter a career with an average wage of $15.00 an hour, plus benefits, and the potential for future growth. “This program has allowed us to establish a pipeline of workers that start in entry-level positions and then continue to up-skill and move up in a career with huge growth potential. It is an achievement to have these skilled workers available in our community,” says Bayne Beecher, President of the Sarasota-Manatee Manufacturers Association Board and Production Control Manager at PGT Industries. “With the addition of the Precision Machining Program, there is now a labor pipeline of skilled workers in our region. Even with such a large accomplishment, the problem is far from solved, and machinists are still in demand by manufacturing employers,” says Mireya Eavey, Chief Workforce Strategist, Greater Sarasota Chamber of Commerce. Due to the success of the program, the college will be offering an Advanced Manufacturing Program that will allow prior graduates to continue their education and career ladder to other positions within the industry. For more information on registering for the next class please contact student services at (941) 924-1365 x62283. View More "In The News"
Sarasota, FL. : People can experience many changes in a career, including a promotion into a leadership role. Without proper training or preparation, employees are often thrust into management positions resulting in higher turnover and organizational instability. CareerEdge has supported leader training in the healthcare sector with much success for the last four years. Recently, manufacturers asked for assistance in developing their own new leaders and building a stable workforce. With input from these employer partners, CareerEdge developed a pilot consortium training for “Emerging Leaders” in the industry. 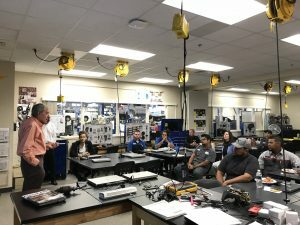 The manufacturing training launched in May 2018 with two separate classes in Manatee and Sarasota counties. Already employers are sharing the positive impact the class has had on their organization. “In a growing industry, often people are promoted without the proper soft skills to lead. After sending some of our team members to the Emerging Leaders class, we have been pleased to see them honing new skills in communication, management and other techniques,” shares Gina Burwood, Human Resource Manager for Pierce Manufacturing. The program was delivered by trainer Lori Ann Roth, President of LARG (Learning and Reflective Growth) and included team building, personality differences, communication styles, conflict resolution and exploration of individual strengths. After completing the class, participants rated the program 4.83 on a 5-point scale and 100% would recommend the class to others. With these encouraging outcomes, many of the manufacturing employers are planning to start their own leadership trainings to better their company culture and inspire workers. “It is so important to develop workers into leaders as they career-ladder and up-skill within an organization. Giving employees the resources and tools they need to succeed will ultimately lead to further success for the entire organization,” explains Mireya Eavey, Chief Workforce Strategist for the Greater Sarasota Chamber of Commerce and CareerEdge Funders Collaborative. PGT Industries and Pierce Manufacturing hosted the CareerEdge-funded course and 50 individuals from 17 local manufacturing employers participated in the opportunity. Employers included: Atlantic Mold and Machining, Ergotronix, Inc., KHS USA, Inc., Pierce Manufacturing, RND Automation & Engineering, Safran Electrical & Power, Air Products and Chemicals, Osprey Biotechnics, Berry Global, PGT Industries, Tervis, ALLIEDFLEX Technologies, Inc., Enzymedica, Quality Enclosures, Sterling Manufacturing, Adams Group and Trident Building Systems. CareerEdge has helped employers to see the correlation between quality of leadership and employee satisfaction, as well as bottom-line impacts. Research has shown that supervisors that establish high levels of meaningful interaction and support for their subordinates will increase employee productivity. Leadership training is just one opportunity that leads to growth and advancement, which directly affects an organization’s long-term success. 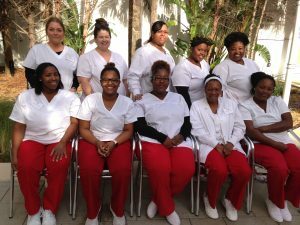 Sarasota FL (April 4, 2018): Nineteen individuals recently graduated from training programs developed by CareerEdge Funders Collaborative: 10 American Red Cross-trained Nurse Assistants and 9 Automotive Technicians from Suncoast Technical College. What makes these students different from those in traditional training programs is that each one was pre-screened and hired by an employer prior to starting their classes. CareerEdge marketed these tuition-free training programs through multiple media channels, helping to drive candidates to employer application portals. All of the Nurse Assistant students were chosen by Tidewell Hospice for work at one of their facilities or at their home health agency, Approved Home Health. 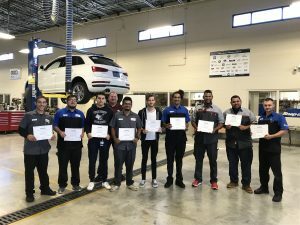 The Automotive Express students were hired by local dealerships: Gettel Automotive, Sunset Automotive, Toyota of Sarasota and Venice Honda prior to beginning the entry-level course. The goal of these innovative educational programs is to engage employers in the talent identification process on the front end, while also offering individuals guaranteed employment once they complete the trainings. The nursing program ran 4 nights per week for 7 weeks, while the twice a week evening automotive course was 11 weeks long. Both classes had 100% completion rates and provided graduates starting wages of $12 to $13 per hour. Funding for the certification programs was made possible by Gulf Coast Community Foundation donors Walt and Renee Eppard who have taken a personal interest in helping these newly trained individuals succeed in their careers. Developing skills and overcoming barriers to have a career with the potential for growth are high priorities for us. The reward of connecting directly with our students is inspiring and gratifying. A small investment can go a long way to changing the path of those willing to work for a better life for themselves and their families, explains donor Renee Eppard. Students also received CareerEdge’s Bridges to Careers soft skills training in subjects such as Teamwork, Conflict Resolution, Professionalism and Stress Management. And they were offered a financial education class delivered by Manatee Community Federal Credit Union to help them learn about budgeting, credit and debt management. The auto program was first piloted with Gettel Automotive last fall and has expanded to include additional dealerships in a second cohort. CareerEdge began the automotive program by hosting a roundtable of industry representatives and developed a plan based on their input. CareerEdge will continue to work directly with employers to find solutions to their talent needs, and to encourage them to be active participants in the workforce development process. Gulf Coast Community Foundation donor Walt Eppard speaks to the Automotive class graduates. Suncoast Technical College Automotive graduates with instructor Mark Mullen. 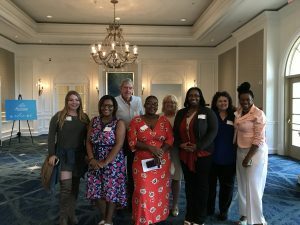 Gulf Coast Community Foundation donors Walt and Renee Eppard hosted some of the Nursing Assistant students at the Tidewell Signature luncheon. The first cohort of Tidewell Hospice Nursing Assistant graduates. SARASOTA, FL: In pursuit of its strategic plan to grow programmatic infrastructure, strong partnerships and funding support, CareerEdge Funders Collaborative will partner with the Greater Sarasota Chamber of Commerce. The change comes in response to continued growth, which requires a sharper focus on economic and talent development for the region. As part of the transition, CareerEdge will move its operational functions by early summer from United Way Suncoast, its home for the past two years, to the Greater Sarasota Chamber of Commerce. This operational transition provides closer alignment to employers, enabling CareerEdge to support the workforce needs of local companies. Gulf Coast Community Foundation will continue in its role as fiscal agent, which it has done since the inception of CareerEdge in 2010. In addition, CareerEdge is pursuing incorporation as a 501c3 to grow new avenues of revenue. Mireya Eavey has resigned as Sarasota Area President for United Way Suncoast to become the Chief Workforce Strategist at the Chamber. In this role, she will continue to lead CareerEdge’s mission to provide an exceptional labor force to the region’s growing industries. CareerEdge will continue to support and engage in collaborative efforts with the United Way Suncoast financial stability initiatives. View this Story "In the News"
SARASOTA, Fla. (February 8, 2018) — The Talent4Tomorrow Partnership, CareerEdge Funders Collaborative, The Greater Sarasota Chamber of Commerce, and Sarasota County Schools Career and Technical Education Program hosted the 3rd annual “Experience Engineering Luncheon” on Friday, February 2nd at Suncoast Technical College. 125 high school juniors and seniors met with engineers from 22 local companies to discuss career and educational pathways into engineering. The engineers, ranging in areas of specialty, also brought examples of their company’s products, diagrams, and project plans to help illustrate how they solve problems with engineering.